Attack 1 : Go To Jail! Your opponent's active and benched Pokémon are now paralyzed, poisoned, frozen, and asleep. Attack 2 : This Is The New Law! 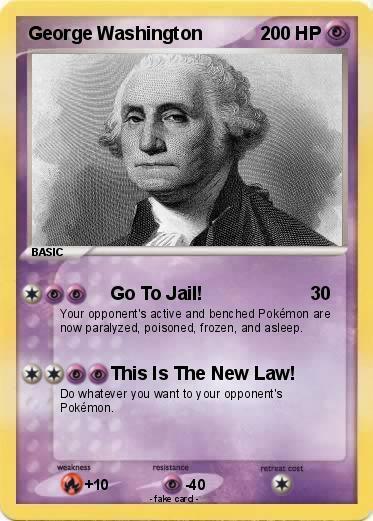 Do whatever you want to your opponent's Pokémon.